On the A9 motorway, after crossing the border, go 8 miles and exit at exit 43 towards Le Boulou - Argelès-sur-Mer. 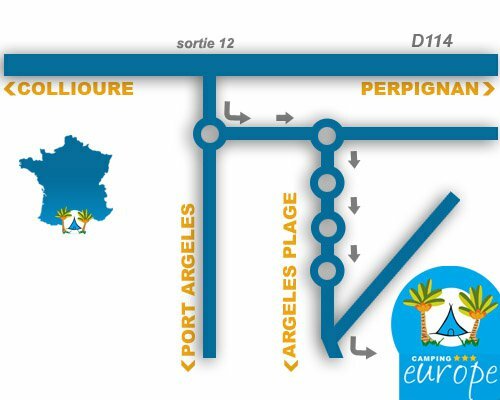 Once in Argelès-sur-Mer, take direction and then center center ville plage. The campsite Europe is located to the left at 50 m from the Tropical Golf. A shuttle service (van) is available from the airport of Barcelona and Gerona to the campsite.